Feeling a little flaky? Make sure your moisturizing products have the ingredients they need to get the job done. Choosing a product that will keep your skin soft, hydrated and looking great is quite a challenge. The shelves at the grocery store are overflowing with products that claim to do the job, but not every product works as well as the next. The key is not the best-known brand or most expensive product, but what’s inside the bottle. Look for a product that contains the best moisturizing ingredients so you know it’ll work the second it touches your skin. 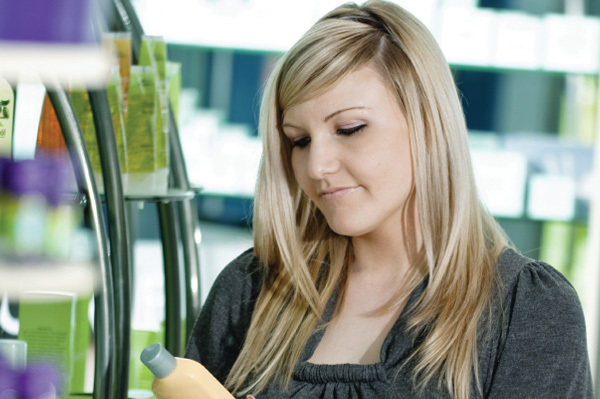 There are three different types of moisturizers: occlusives, humectants and emollients. Each works in its own way to hydrate your skin. The one you choose should depend on your individual needs. Occlusives are the most basic types of moisturizers, and they work to keep healthy skin from getting dry. They sit on the surface of the skin and form a barrier that works to keep your skin’s water safe from the elements. Since tons of moisture is lost to dry air and wind, occlusive are a big help when it comes keeping your skin looking its best. Some of the most effective occlusive moisturizers include lanolin, paraffin, petrolatum and silicones. These moisturizers work best when applied right after a shower, when your skin is still damp. Apply them right away to lock in that extra moisture. Humectants work to draw moisture from deep within the skin to its surface. This surge of moisture to the surface of your skin can cause it to swell slightly, which temporarily makes your skin appear smoother. They can also pull moisture from the environment into your skin, but only in very humid conditions. Glycerin, alpha hydroxy acids, sorbitol, sodium hyaluronate and sugars are some of the best humectants. Emollients are your best choice if your skin is already dry. Moisturizers made with emollients are usually oily or greasy, because they provide your skin with a protective layer of oil and fill in the cracks between dry and flaky skin. The most common emollients are lanolin, Shea butter, coconut oil and squalene. Aloe vera and jojoba oil also contain emollients, which is why you’ll find them added to many hydrating products. What about your shaving cream? Your lotions and cleansers aren’t the only products you use that effect your skin’s moisture. Your shaving cream helps create a barrier between your razor and your skin, preventing razor burn and giving you a smoother shave. Depending on the shaving cream you use, it may also go a long way toward moisturizing (or drying out) your skin. Not all shaving creams are created equal. Stay away from alcohol-based shaving creams, since alcohol will dry your skin out fast. Choose a shaving cream packed with emollients — the extra oils will give you a smoother shave and leave behind soft and skin. Keep your showers quick and cool. Hot water will rob your skin of tons of moisture.